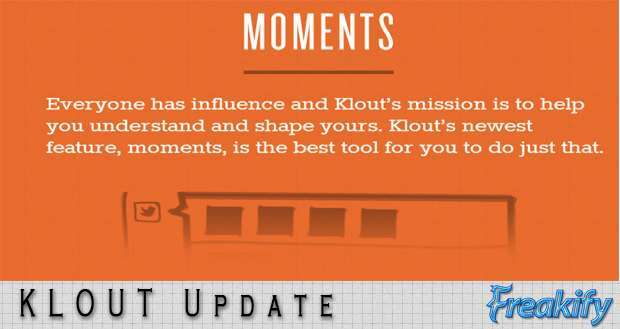 Do you know about Klout? 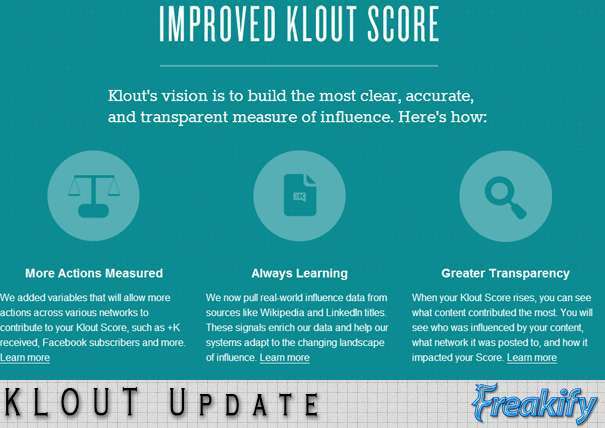 Klout is a service that provides you a rank on the basis of your social presence. How much active are you how much time you spend in your Social Profiles. These ranks are going to be acknowledged very well in near future. 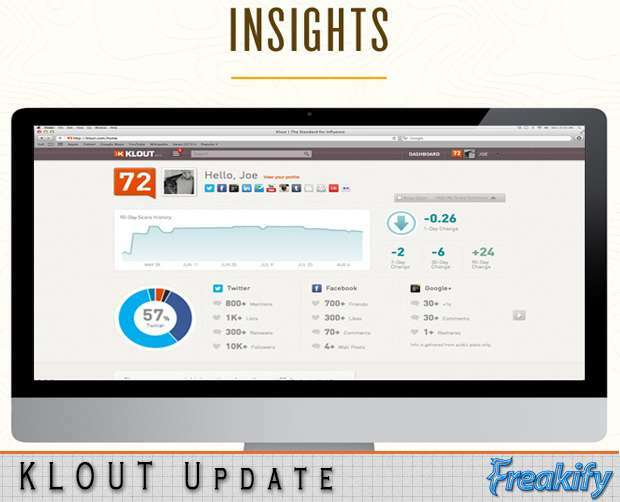 I really love Klout.com you can find my profile here. How to get your profile Updated? 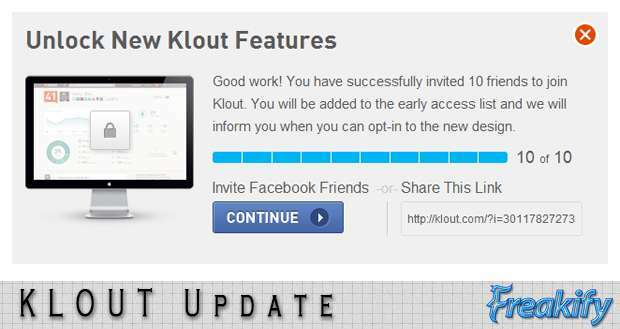 If you want to get your klout profile updated before anyone then share klout without FB friends. Look at the image below and read what it says. 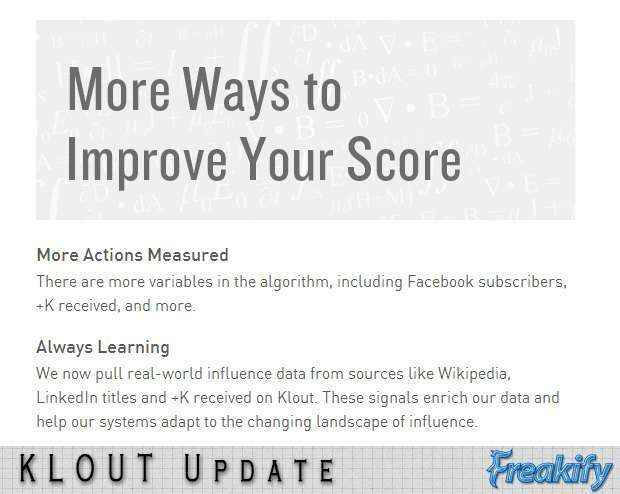 Scoring factors are increased and analysis is better now you view you insghts in klout.com which help you to know what is going up and what is going down. 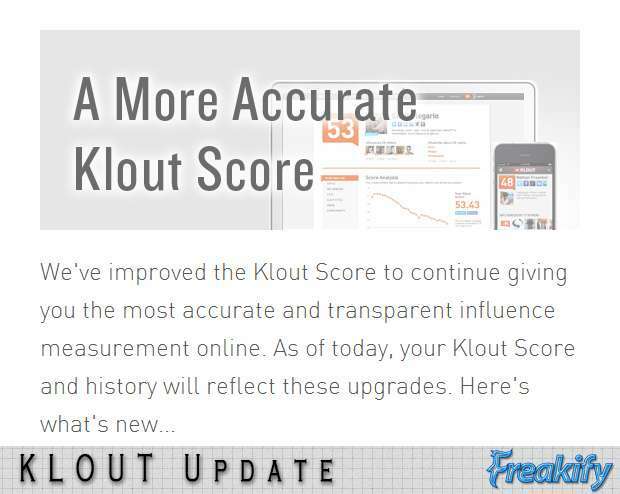 I saw my score go down from 73 to 68 it is strange, but klout calls it an improvement. I guess they added more factors of judgment. 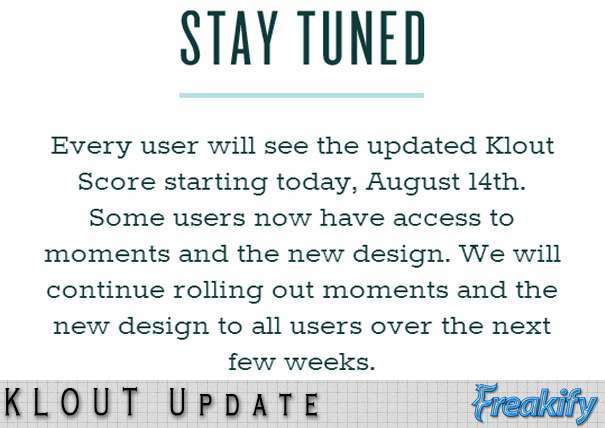 Stay tuned and you will get the updates in few weeks. This is something they need to work on. It is not easy to update a hell lot of users at once. 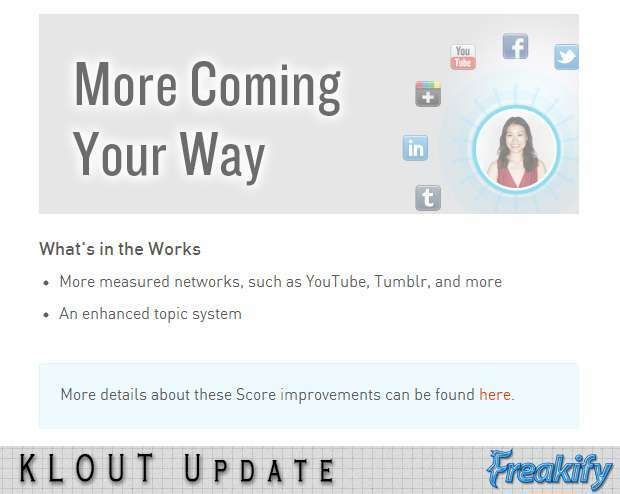 Gradually you all will get updated.